Important Information: MicroFridges are available for the 2019/20 academic year. Collegiate Concepts, Inc.(CCI) is the Exclusive/Endorsed/Approved provider of MicroFridges at USD. The deadline to order for delivery prior to the regular student move-in is August 16th, 2019. Late orders will be delivered as inventory is available. Thanks! 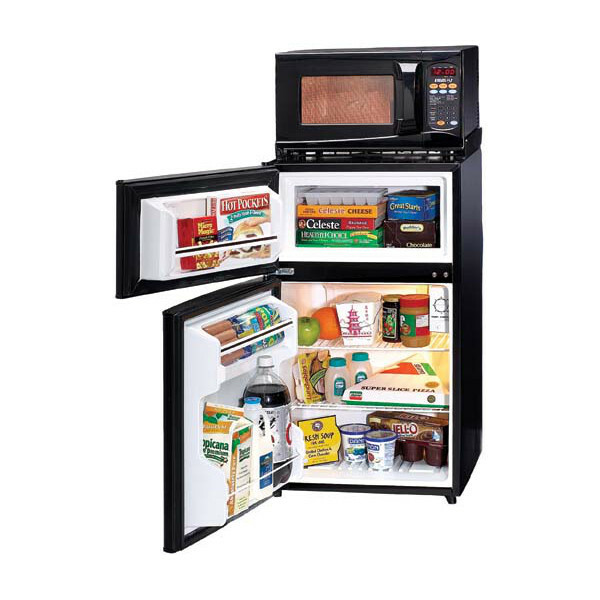 MicroFridge® with Safe Plug® is the original combination appliance, designed for the collegiate environment. Hundreds of thousands of students nationwide have enjoyed the convenience of a MicroFridge® with Safe Plug® in their rooms. MicroFridge® with Safe Plug® is approved by your school because it's safe. There are no exposed heating elements and MicroFridge® with Safe Plug®'s patented internal circuitry is designed to reduce energy consumption. PLUS, we provide FREE pick up and delivery to your campus. I authorize Collegiate Concepts, Inc. to debit the financial account indicated in this web form, for the noted amount on today's date. I understand that because this is an electronic transaction, these funds may be applied against my account as soon as the above noted transaction date. I will not dispute Collegiate Concepts, Inc. debiting my financial account, so long as the transaction corresponds to the terms indicated in this web form. I have read the terms and conditions in the rental agreement. There was a problem with your submission. Please review and try again. What does "All-Inclusive Insurance" cover? The "All-Inclusive Insurance" offered by Collegiate Concepts, Inc. covers All Damage to the rental during the rental period. This includes all parts of the rental. The insurance would NOT include the loss or Theft of the rental. You are NOT REQUIRED to purchase it. To remove it from your order, simply change the Quantity field next to it to 0 and click the "UPDATE QTY" button to have it removed. Even though the insurance option is optional, over 65% of the customers choose this option historically. It has saved thousands of dollars for customers. We highly suggest you choose this option. What does "Clean Option" include? The "Clean Option" offered by CollegeFridge.com (Collegiate Concepts, Inc.) allows you to focus on other items at the end of your rental term. We will clean your fridge for you, all you have to do is remove all personal items, and the rest is up to us! No mess, no fuss, no cleaning charges when we pick it up. You are NOT REQUIRED to purchase it. To remove it from your order, simply change the Quantity field next to it to 0 and click the "UPDATE QTY" button to have it removed. Please check your email for your order confirmation. A premier loft bed, MicroFridge© with Safe Plug™ and Safe supplier at select colleges and universities across the United States, Collegiate Concepts can set up a variety of different programs for your institution. © 2019 Collegiate Concepts, Inc. All rights reserved.